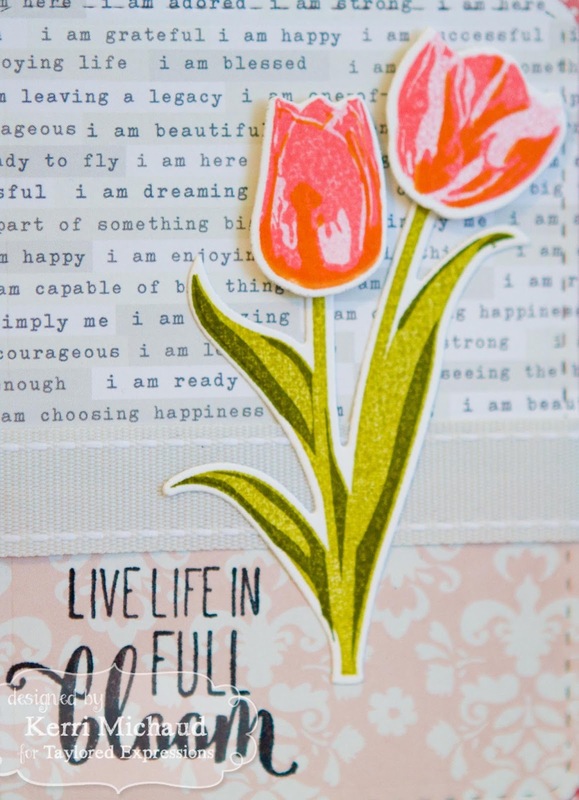 Taylored Expressions February Sneak Peeks: Simply Stamped Tulips and Butterfly Swirls Embossing Folder! Hello! It's Day 3 of sneak peeks from Taylored Expressions and all of the new products will be available tomorrow at 7 AM PST!!! 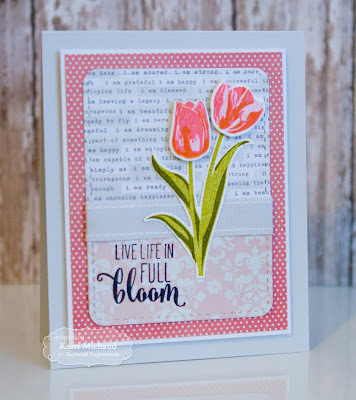 For my first peek today, I used the gorgeous new set-Simply Stamped Tulips. 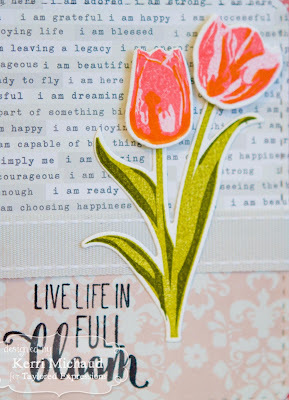 I used a light pink, coral, and tangerine ink to stamp my tulips, and kiwi and olive ink to stamp the stems. 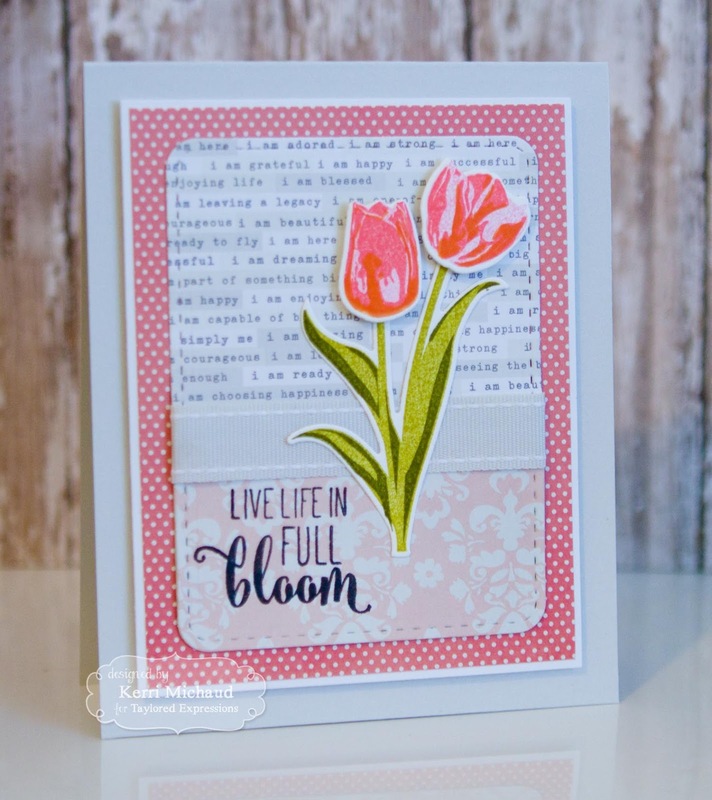 I cut them out with the coordinating Simply Stamped Tulips Dies. The bg is very simple. I used some Simple Stories I Am dp and cut out the frame using a Pockets and Pages Stitched Essential Die. 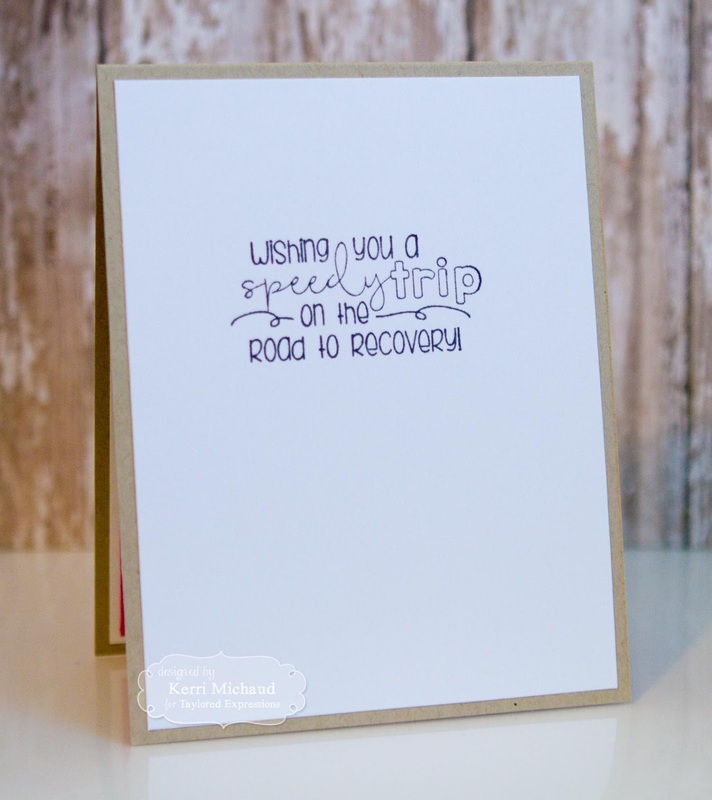 It is the same layout I used for my card yesterday:) I stamped one of the images from the set directly onto the dp and added a ribbon border. I then popped my image up with foam tape. Very simple but so pretty! 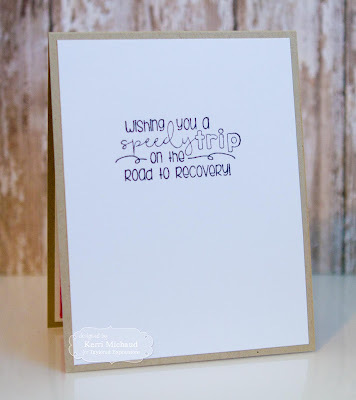 For my next card, I used an adorable new stamp set called Bunny Tails & Happy Trails. 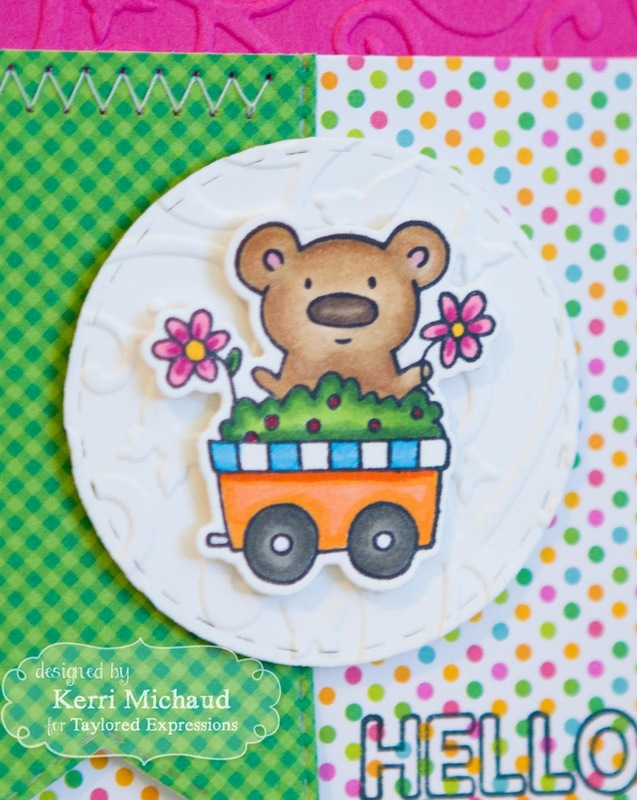 I chose this adorable bear image from the set, stamped it with Memento Tuxedo Black and colored with Copics. I cut it out with the coordinating Bunny Tails & Happy Trails Die and popped it up with foam tape over a circle cut with a Stitched Circle Stacklet and embossed with the new Butterfly Swirls Embossing Folder.